I was glad to HYPERLINK "http://www.haaretz.com/print-edition/news/local-experts-target-stress-hormones-in-fight-against-cancer-1.349222" read in Haaretz something I already knew: Professor Shamgar Ben-Eliyahu, a colleague of mine at the psychology department at Tel Aviv University and currently chair of the department, is on the verge of a major breakthrough in the prevention of metastatic development in cancer. His research so far has been funded by the U.S. National Institute of Health, and is now moving into clinical trial with humans. Ben-Eliyahu exemplifies something that is known to insiders of the academic world, but not much beyond: Tel Aviv University has been ranked number 11 worldwide in citations per faculty in 2010 – a truly staggering result. HYPERLINK "http://www.usnews.com/education/worlds-best-universities/articles/2010/09/21/worlds-best-universities-top-400-?PageNr=3" TAU gets 100 of 100 in this domain, right up there with Harvard, MIT and Princeton, and surpasses illustrious schools such as Cambridge, Oxford, Yale and Columbia, which are graded in the high 90s. To quote U.S. World News Report, “Citations per faculty, when evaluated to account for the size of the institution, are the best understood and most widely accepted measure of research strength and faculty productivity at a university.” In other words: in terms of pure strength of research, Israel has one of the very best universities in the world. One may wonder, then: how come Tel Aviv University’s overall ranking in the widely used QS scale is only 138? The answer is fairly simple: one of the most important measures used in overall rankings of university is the student / faculty ratio. This reflects the ratio of full time students at a university compared to its full time faculty. Top universities have a ratio of around 10 students per faculty. Tel Aviv has a ratio of 1 to 25 and as a result it receives a measly 17 of 100 in student / faculty ratio, which, of course, drags down the overall standing. There are three reasons for the abysmal student / faculty ratio: the first is funding; the second is funding and the third is funding. It is, in fact absolutely amazing that the research at Tel Aviv University is so highly ranked. 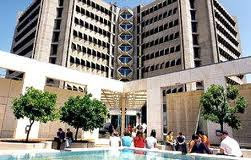 The total annual budget of Tel Aviv University is less than Harvard raises just from its alumni year after year. Hence there is good news and there is terrible news about Israel’s universities: we have a gem on our hands, and it is impressive that a country as small as Israel has succeeded in competing successfully with the top universities of countries many times its size. Most of Israel’s public doesn’t know that professors are primarily paid for doing research; neither do they know that a country’s standing, prestige and economic performance correlate strongly with the quality of research they produce. So all they see is that Tel Aviv University doesn’t give students the attention they deserve. This is a direct result of Tel Aviv University’s abysmal student/faculty ratio; and the main victims of the dreadful under-funding of our universities are, of course, our students. When I teach a class with 350 students, there is no chance on earth that I can mentor their development individually - or even know their names. But the problem is not just with undergraduates: our doctoral students get scholarships that don’t cover even a small part of their living expenses. That means they need to work a lot to cover their bills (many of them have families to feed), and this makes it impossible for them to fully invest their time in research. Israel depends on the quality of its research, not just economically, but also in its security. We have no natural resources worth speaking of, even taking into account the recent gas findings off Israel’s Mediterranean shores. The incredible rise in Israel’s economic performance in the last two decades is primarily driven by research, and its future economic flourishing will depend on research, too. But we must not delude ourselves: As Ada Yonath said after being awarded the Nobel Prize, the quality of research produced in Israel in 2011 is a result of investments made in the 1970s when Israel’s higher education system was a national priority rather than the place where you cut costs. Success stories like that of Shamgar Ben-Eliyahu are achieved despite severe underfunding of Israel’s universities in the last decade, and if policy will not change, Israel will lose one of its most important assets on which its future depends.